“A” sells to “B” (this closing uses transactional funding) and then “B” sells to “C” in a very brief time frame (hours to 1-2 days). This money costs anywhere between 1.75% (which is what our transactional partners charge) to 3%. On a side note, you can also become the funder. It’s a wonderful way to make a quick return on cash with very low risk. Hard Money Loans: These are non-owner occupied short term real estate loans (typically a year or less). The loan is based off the value of the property. Typically, a loan will run 65-75% of the “future value” of the property, meaning what the property will be worth once it’s fixed up. If you are buying a property whose future value is $100,000, and the lender will give 65% of the future value, the loan will be $65,000. The next question is, what do hard money lenders charge? Interest rates can vary from 9-13%, now they also charge anywhere from 2-4 points (a point is a percentage of the loan), and other fees such as the appraisal. This is not cheap money – but its money that will get the deal done. One of the most important things is that you figure in the cost of the loan into the deal. Crowdfunding: Crowdfunding allows pools of investors to “pool” their money together to invest in Real Estate. This is done by a real estate funding platform which allows for easier and faster funding of transactions. It also uses technology to find investors. Crowdfunding has been geared toward “accredited investors” but under the JOBS Act investors no longer must meet the criteria as an accredited investor. Commercial Loans: These loans are typically made on the merit of the property. 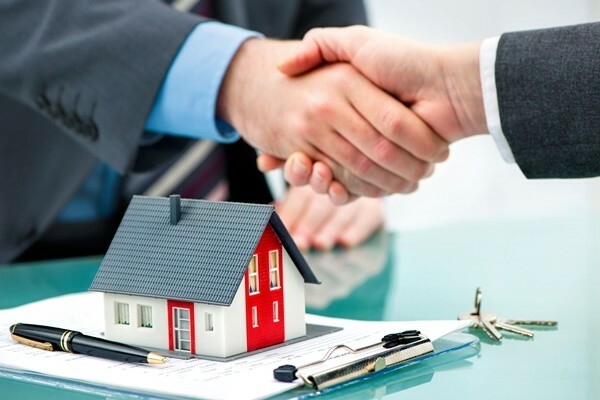 This doesn’t mean that a lender won’t require a personal guarantee from buyer(s). If the bank doesn’t require a personal guarantee the loan is called a non-recourse loan. These loans are also structured differently for repayment. A residential loan is typically amortized over 30 years with repayment also being over 30 years. Whereas a commercial loan is amortized over a similar period but repayment is over a shorter time frame, five years (or less) to 20 years with a balloon payment due at the end of the loan. Refinancing is very common. It makes sense because the asset should continue to increase the ability to create additional cash flow if managed correctly. There is a saying in Real Estate, if the deal is good the money will follow. As you can see, there are many options for finding the right financing.